green tea: One Year Ago Today: HOW IS THIS POSSIBLE?!? One Year Ago Today: HOW IS THIS POSSIBLE?!? November 30th. 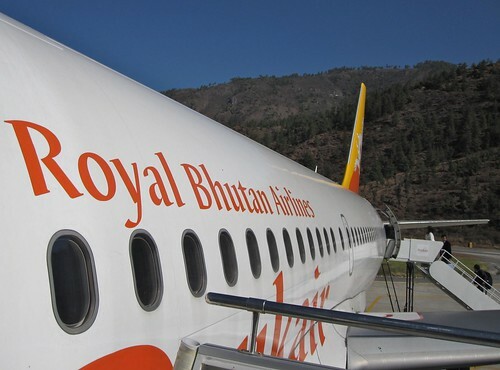 It's unbelievable that I departed from Bhutan one year ago. I am rattled by this because it feels like only a few months have passed. My memories from that time are still so clear in my mind. Moreover, it is unbelievable that I hadn't posted these photos until now. Despite over three months of unemployment after my return, there are still a large number of topics I've been meaning to write about here and have not. To mark the anniversary, photos from the scenic departure. 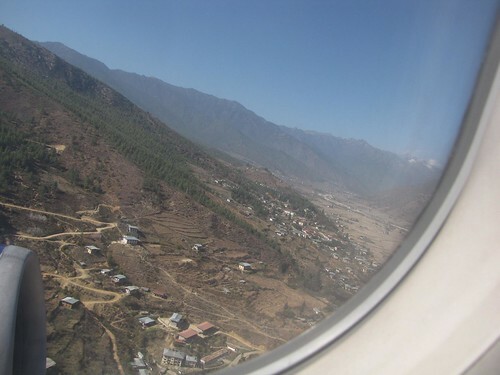 When will I get to travel here again? The question makes me anxious as I have no answer. 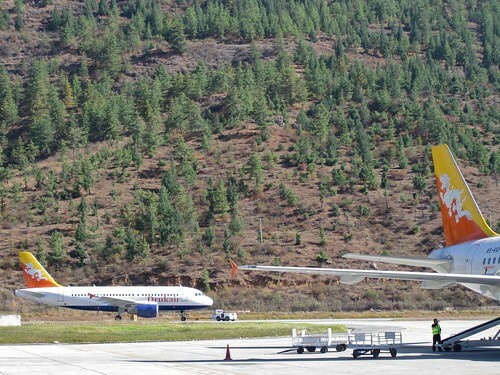 Drukair's two jets at Paro airport. 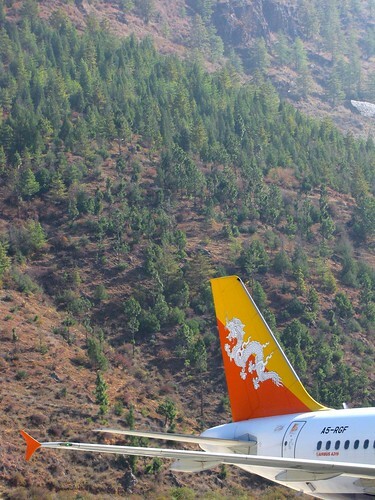 Note the terrain directly adjacent to the runway. 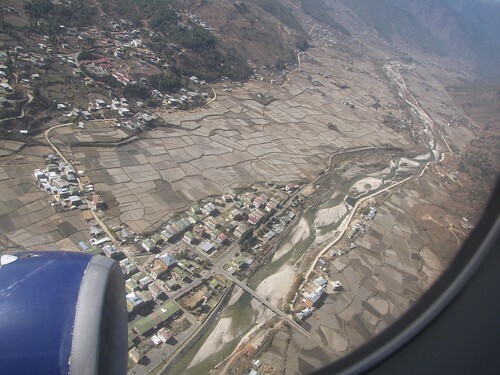 Taking off over farmhouses. 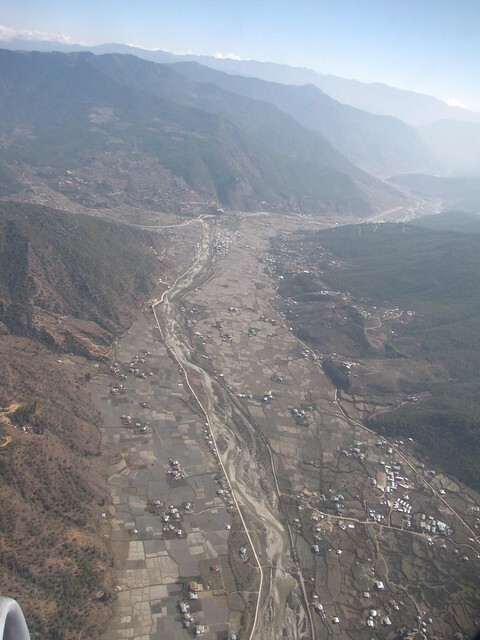 The landscape is quite brown in late fall. 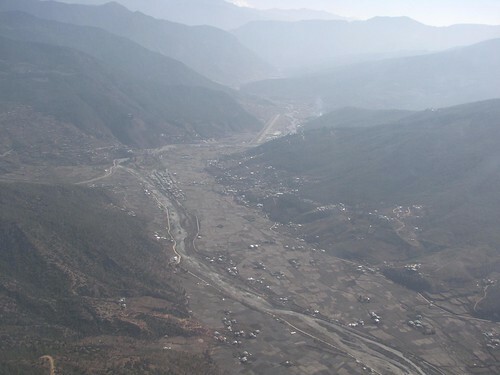 Banking over the downtown of metropolitan Paro. 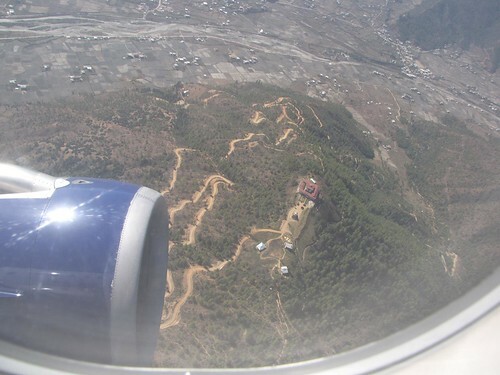 Over the lhakhang (shrine) and switch-back access road. 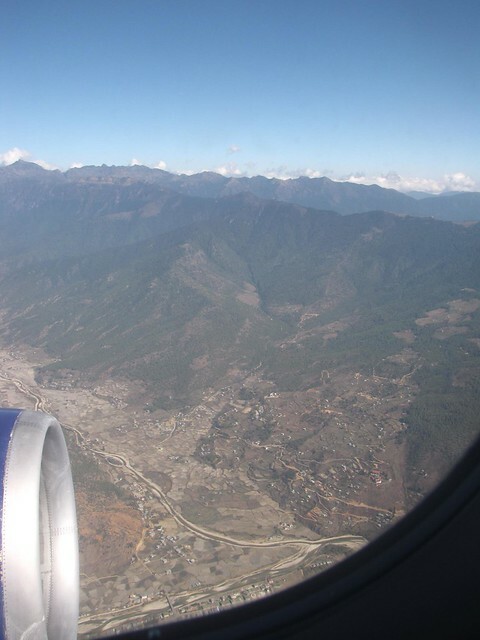 Now the runway is visible in the centre of the frame. Runway now just at the top right margin. The single linear feature looks out of place in a setting where nothing else is quite so rigidly aligned. Poetic moment. 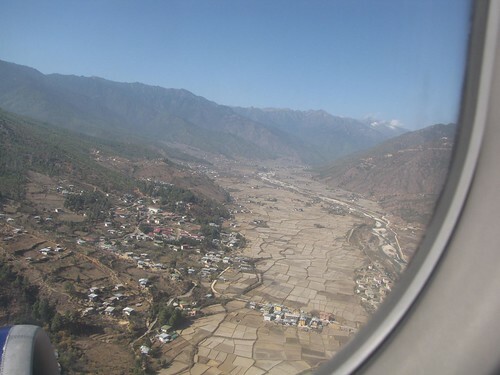 Good bye Druk Yul. Will I ever see you again? 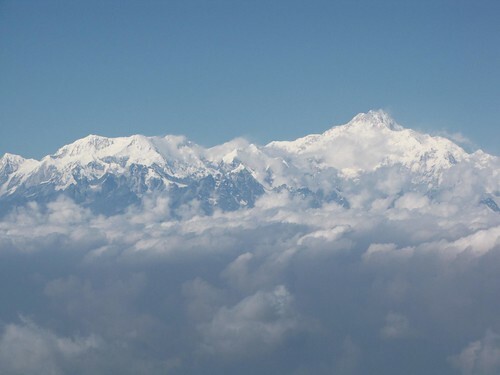 And just for a big finale, a farewell to Kanchenjunga, the world's third highest peak. I can't believe it's been a year already either! 2011 really flew by at a pace I'm not too happy with. Is this what getting older is like? Time flying by? 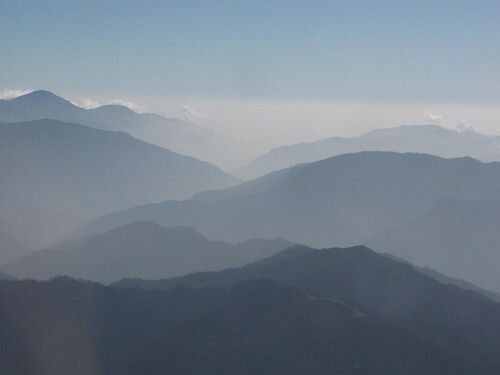 Your pics from up high are gorgeous! I hope you can go back soon!